Hero Arts is our wonderful sponsor this month and a masculine card is the challenge. I usually communicate with my grandkids by texting, but every once and awhile I send “just because” cards. My grandson just got his first job in Baltimore after graduating with a degree in landscape architecture. 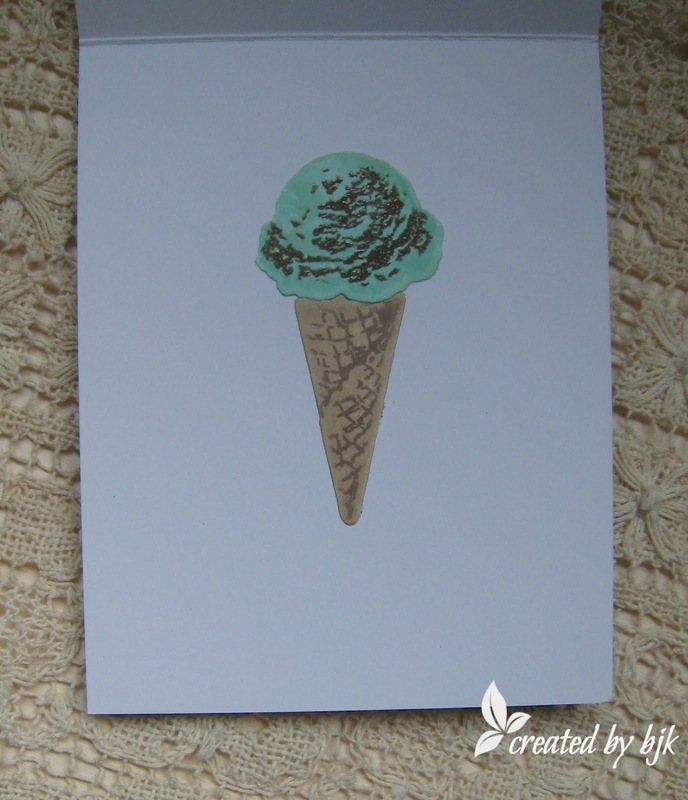 His favorite ice cream is mint chocolate chip, so this card will be in the mail to him. 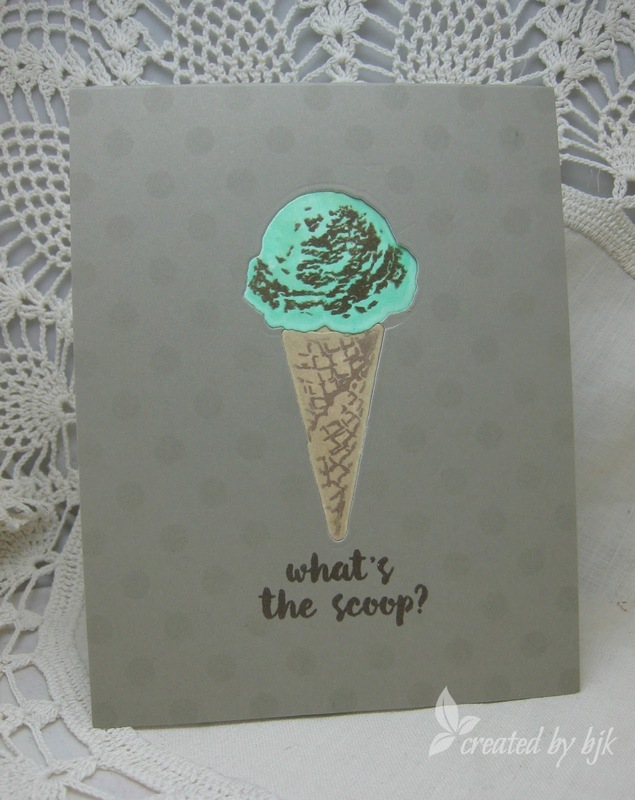 To create my card, I first die cut the ice cream cone on the card front. Then stamped and die cut again from white cardstock. I didn’t want the white edges of the die cut to show, so used a small brush and the ink to cover the edges of the cone and ice cream. To make the chocolate on the ice cream special, I embossed with clear embossing powder. Did the same for the sentiment on the card front. I closed the card and fit the die cut pieces in the space and adhered to the inside. Finally I used a stencil and sponged on some Versamark to make the dotted front. Be sure to find time to create a masculine card for this month’s challenge and a chance to win a prize from Hero Arts!! Link up your card here. Thanks for visiting today – happy stamping! a perfect card for your grandson! Fabulous card, especially in this heat! Cool ice cream cone, Betty – your grandson will love it! This is so fun!! Looks good enough to eat!! Super card, Betty! Love that the image is actually on the inside & that cone looks good enough to eat! Fabulous masculine card, Betty! I love how you brushed your ink to cover the edges of the cone and ice cream, and your color combo is perfect for a guy! Your grandson is going to love it, too!